It took time to write about the Bangkok shopping haul because I struggled with cutting the posts into parts. This part of the trip is well documented and there is A LOT of it. It was easy; the haul went home with me so I had time to photograph them. They have a proper Thai name for this snack but I don’t know what it’s called. I have a funny story about how I found these! Ask me in person cos it’s kinda long. Only 1 vendor sold these along Petchburi. 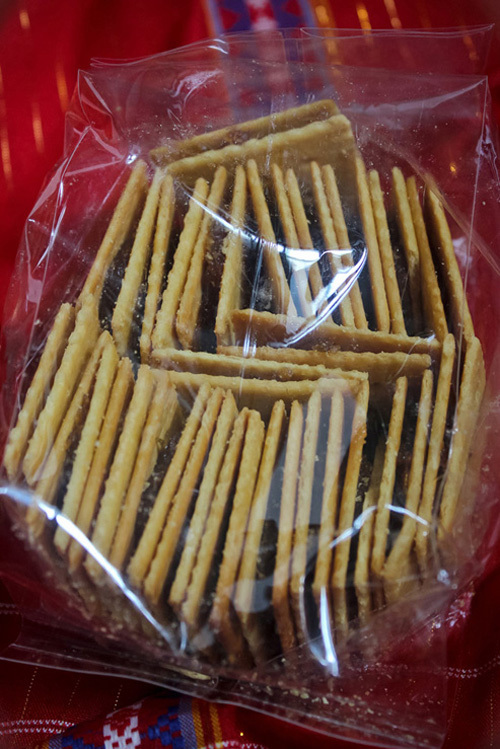 Tita Au told us this was a popular snack in Thailand and when we tasted it we liked it. This is a snack that is kinda weird. When you munch on it, it gives off a coconut and ginger taste but has an after taste. Based on the people we gave this to back home, they either loved it or hated it. 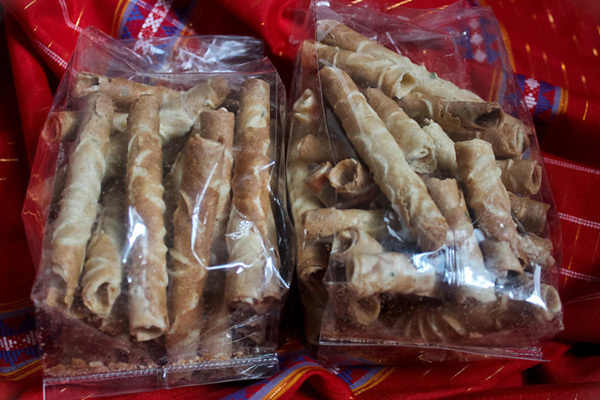 I wanted to buy only the Barquillos like Thai Snack but she ran out of them. I bought this to add to my haul. Big C is a popular supermarket chain in Bangkok. 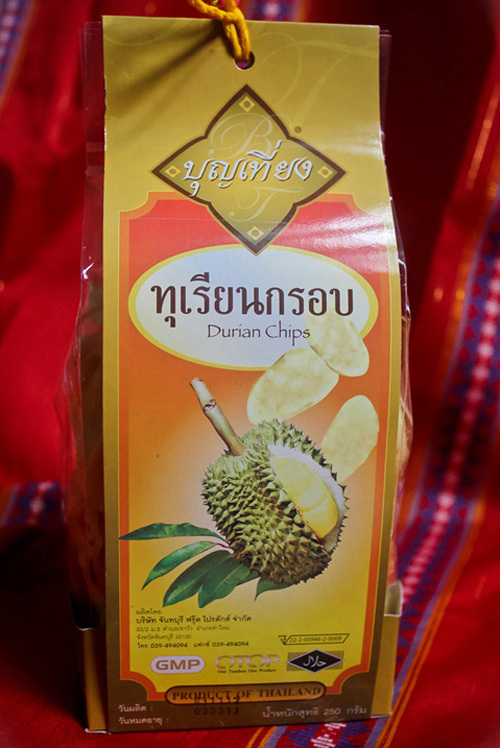 I am not a huge fan durian but I looooved these chips. Nix was raving about how good they were and when I had some, I knew I NEEDED to take them home. Why does a non-fan love this? It tasted similar to pistachios with just a hint of durian! Hehe So purists beware, you may not love this as much as I do. On our last night, we were frantically looking for pasalubong items for our families. At Big C, there were a lot of snacks on display and some plastic containers with bits on the side. I assumed they were samples but wanted to confirm from a store attendant to ask for assistance but wasn’t able to find one. Manang and I started opening the plastic containers tasting the snacks and matching them with the photo on the packaging. These babies are a winner - sweet, in pretty packaging, low cholesterol and gluten free. This had a different texture and taste profile from the waffle. This was one of the items we sampled and I immediately fell in love with them. 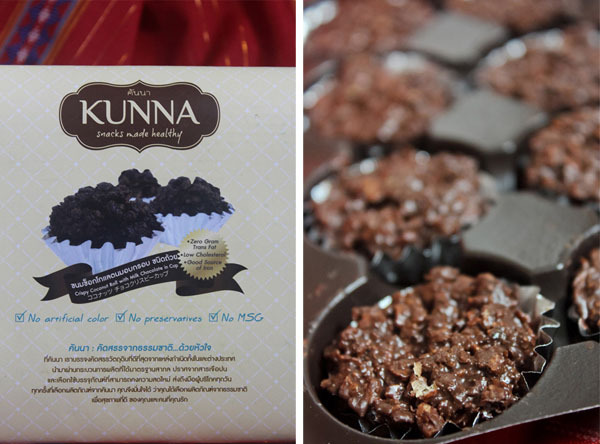 With its pretty and simple packaging (the Kunna items are inside a corrugated and sturdy pouch), it would make for a good pasalubong for people you would like to impress. Just like in Singapore, Manang loves to buy packs. We’re both Basil fans and she was on the lookout for a readymade sauce/seasoning to recreate the delicious dish we chomped on. Like I would leave Thailand without buying this??? I hoard this, I really do. 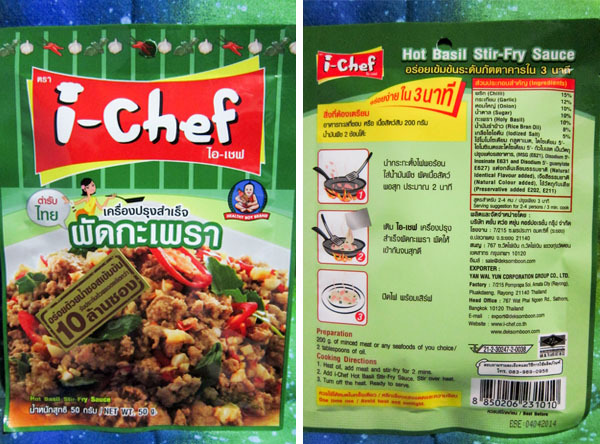 Since my first trip to Bangkok in 2008 (thus discovering this), I’ve never ran out of stock. 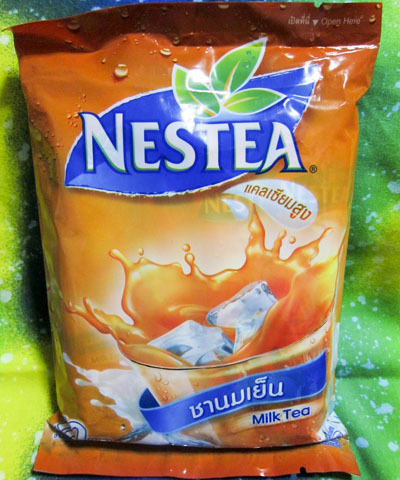 Whenever someone would visit Thailand, I would ask if they could buy me a pack. 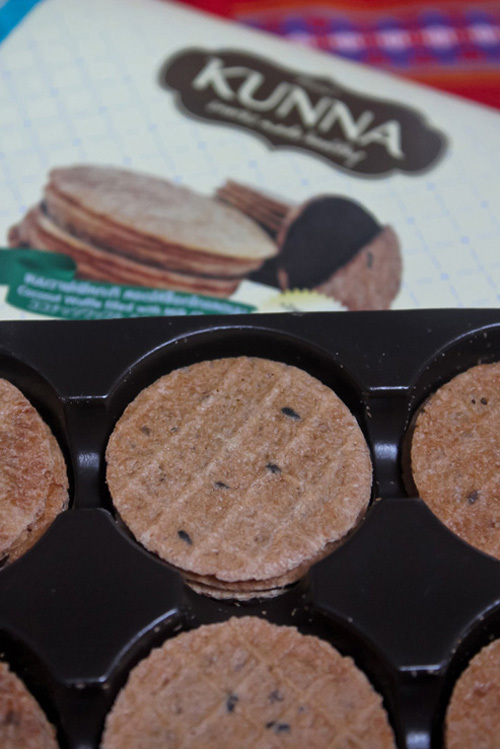 My friends love this as much as I do and I ended up bringing home 8 packs of this – almost half a kilo! Haha You are my love!!! 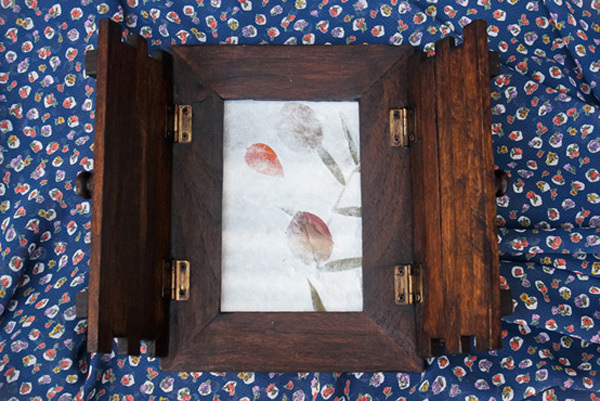 It is a beautifully crafted photo frame designed by the owner. 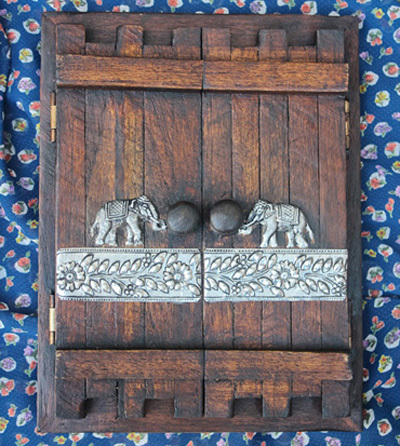 This is made from real wood thus the price. I forgot the name of the owner but he was very accommodating and charming. 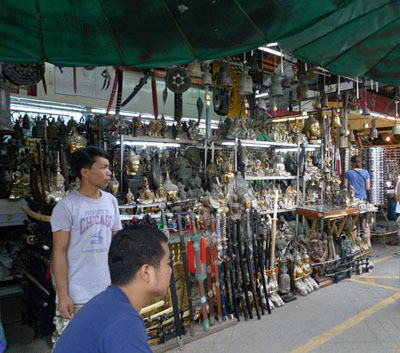 He had a lot of the usual souvenir items and a whole selection of one-of-kind souvenir items also. I had a great time talking to him about Thai culture, the materials of the products and the Philippines. He never made us feel like we needed to buy something. We almost walked away without buying anything and he was graciously saying goodbye with a huge smile on his face. He felt more like a local we conversed with than a seller. We made our way back to his stall to get our hands on this gorgeous frame to display at home. I love going to Chatuchak because a great number of local artists and entrepreneurs have stalls here. 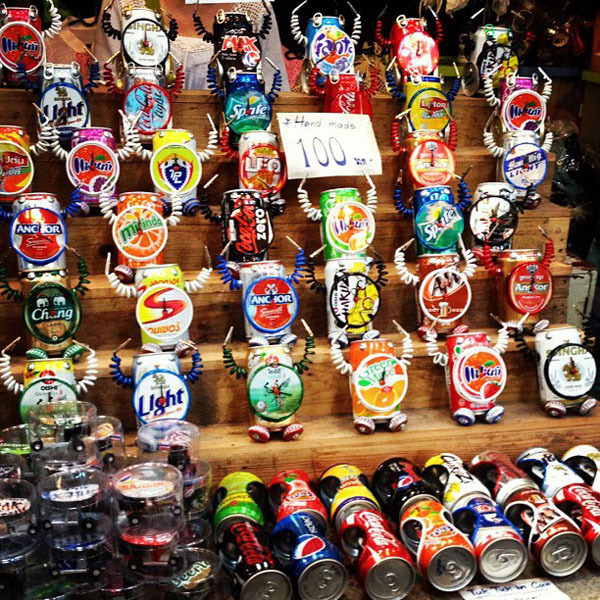 It feels authentic rather than the run of the mill items you see in malls or even back home. 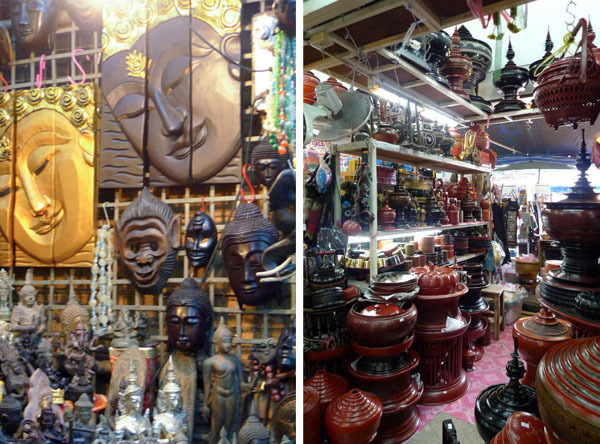 There are a lot of fascinating finds in Chatuchak. Nix’s parents wanted to bring home so many pieces of furniture and décor if only it wasn’t difficult or expensive to do so. You’ll go crazy with the different home accents made here. 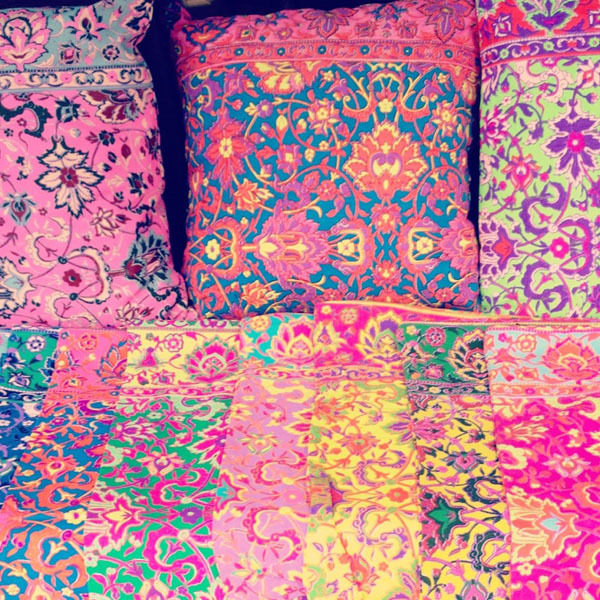 I shrieked when I saw these neon patterns. I love modern interpretation of a traditional print! They sold totes and pillowcases with the fabric. I was extremely tempted to buy a pillowcase for me but I don’t have my own home yet plus 1 pillowcase was around 300 THB. I only started buying tiny trinkets of places I visited late in the travelling game. Ggggrrr…I could have amassed quite a collection by now. I also need to make a conscious effort to remember to buy a trinket because I sometimes forget. Embarrassing I know! I have a small Thai mask (can fit in my palm) from Thailand to represent this wonderful country. Gaaaahhhh. I think I have to go back to Bangkok when I have my first home. I have the potential to do major damage to my wallet. Hi Alyssa, Go go go! If you put your mind to it, you can do it!